It’s been about three weeks since the TVB drama Assassin <殺手> moved its principal photography shooting to Taiwan. Nearing the end of its location filming, the cast and crew have already suited up for its intense action sequences. Stars like Wayne Lai (黎耀祥), Moses Chan (陳豪), and Katy Kung (龔嘉欣) are training constantly, keeping fit for the drama. A few days ago, Wayne had to shoot a scene where his character was faced with over ten armed fighters with knives. 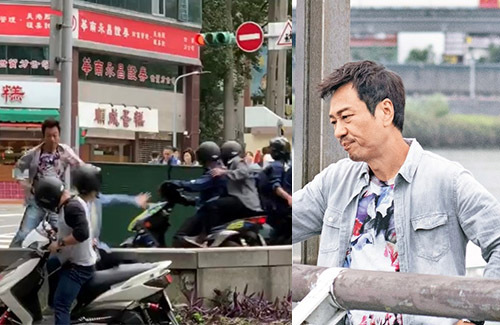 Filming in the middle of a busy Taipei crossroad, the scene scared pedestrians. One even notified the police, and the Thunder Squad—Taiwan’s version of the SWAT/SDU—arrived at the scene. Upon realizing that the crew had legally obtained permission to shoot, the police left.